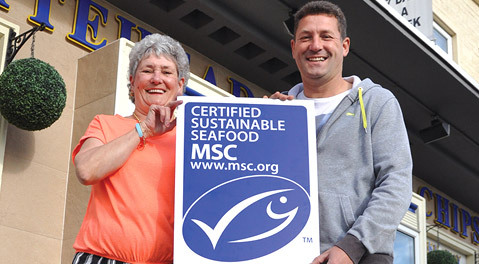 We are passionate about the quality and taste of the food we serve you, where we source from, how it is cooked and our environmental responsibilities. Here is an insight into our approach to ingredient procurement and food preparation. Want to know more about your food? Just as with our fish, we take great care over the supply of our potatoes and have developed a close working partnership with a local East Yorkshire potato grower with whom we have worked for a number of years. From field to Whitehead’s Fish and Chips is just a 10 minute drive; probably the lowest food miles travelled by any British chip shop spuds. 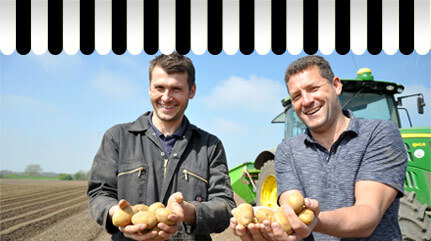 Ask our staff about the variety of potatoes we use. Many of our customers dine with us because they want to avoid allergy causing foods, saturated fats or because they are vegetarian. We only cook using 100% non-gm rapeseed oil meaning all our non meat products are vegetarian friendly. 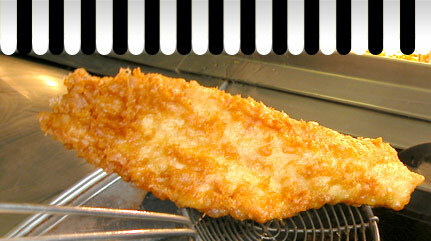 Fish is cooked separately from our chips and our batter is milk free in both our gluten free and standard batters. We are confident we are serving foods that all our customers can enjoy, whilst observing their dietary needs. For many people, intollerance to certain foods affects their health and wellbeing. In the case of coeliac disease, a gluten free diet is essential. Our takeaway and restaurant menus include a wide choice of gluten free meals (marked GF). We advise all customers following a gluten-free diet to notify serving staff of their needs. We cook all our gluten-free foods separately, to order, in a dedicated kitchen to ensure there are no traces of gluten; no matter how miniscule. *These are approximate cooked weights and, as all orders are hand served, minor variations may occur. 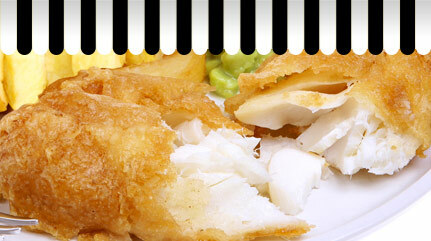 *Whitehead’s Fish & Chips are freshly cooked in non-gm rapeseed oil from natural ingredients and hand served. 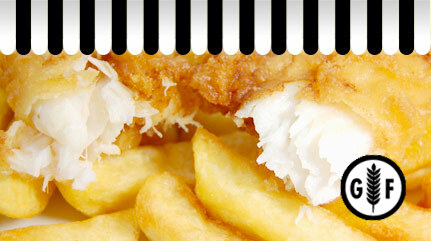 Minor variations may occur in calorific and fat content from one serving to the next due to factors such as total fish weight and chip sizes. Recycling of packaging and cooking oils is sound economics and reduces waste. Returnable containers for oils for optimum storage and efficient handling. Litter bins provided for all takeaway boxes; we regularly check for any stray litter. Low food miles for potato supplies.